Sydney-based publicist Chris Maric is heading to Europe next month for the festival season, and will be taking part in a huge charity event while there. 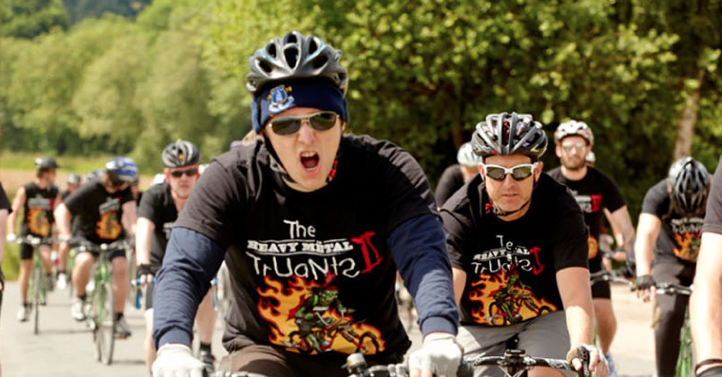 Maric, who reps the likes of Eleven Seven, Century Media, Relapse, Live Nation, Destroy All Lines as well as a ton of local acts, will be joining the Heavy Metal Truants in a bicycle ride from London to Donington in the name of several childrens’ charities. The event, dreamed up by Metal Hammer’s Alexander Milas and Iron Maiden’s manager Rod Smallwood, raised $AUD142,000 last year and is hoping for more this time. Chris is taking donations through this link and is hoping to raise at least $25000.